Who says that side characters aren’t important? If it weren’t for the connections the ladies have outside of their magical battles, they wouldn’t be as strong as they are now. Here’s to the ones who keep the ladies going! 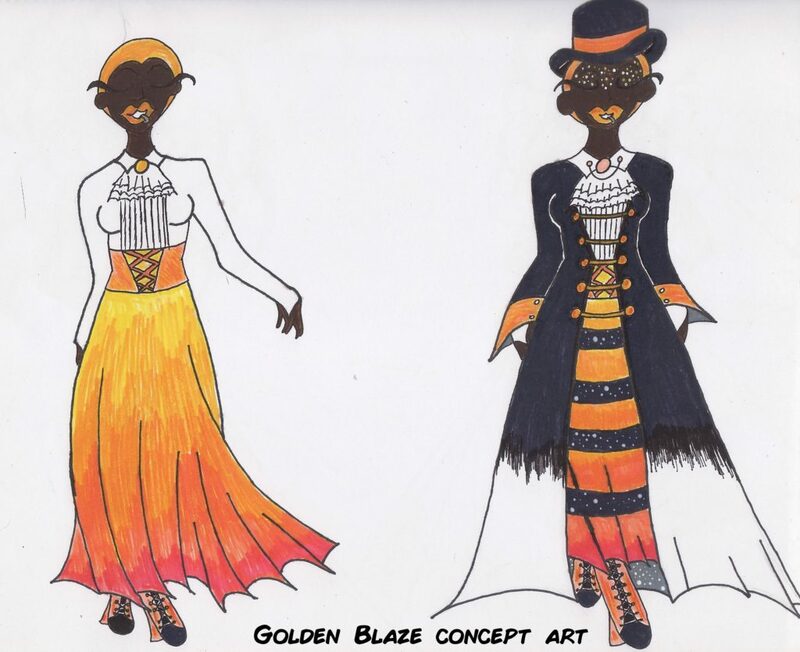 Every team has someone they answer to, and in this case, it’s the mysterious Golden Blaze. The girls know very little about her, as Blaze doesn’t talk much about herself and her past. What they do know is that she used to be a magical girl, and she’s the one who gifted them with the tools they use to transform. They also know that Blaze cares for each of them, often giving them advice and watching their battles to make sure they’re fairing well. She hasn’t been in battle for a while, but if need be, she’ll do what she can to protect her girls. The girls live in the same building where Blaze is, which was Blaze’s idea, so the girls could stay together and not be in different parts of the city if disaster strikes. She takes care of the girls financially and even lets them splurge on things they like… with some limits, of course. Did someone call for a gorgeous love interest? Bree and Kayle meet after lecture one day and it’s like a scene from a shoujo anime, only this time, senpai does take notice! If only Bree could form complete sentences around her. Fortunately, Kayla is more than capable of making the first move. Can Bree balance school, monster slaying, and a potential relationship? Torrence works at the video game store that Bree frequents. Usually, the other girls join her, mostly to make sure she doesn’t spend all of her money. Torrence is always a friendly face for the girls to see, to the point that Marianna will bring him cupcakes or other baked goods. Despite only seeing him for a few minutes, the girls feel that Torrence is a good friend. 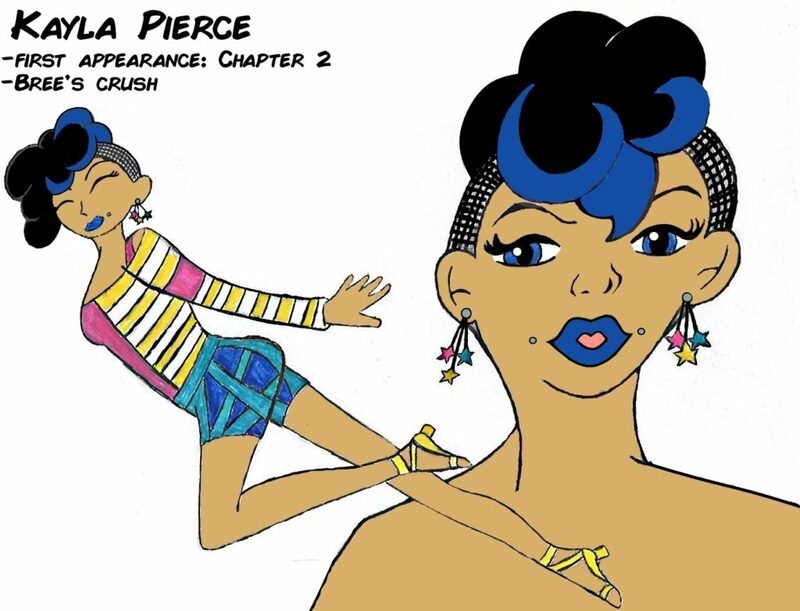 Ella is the creator of the YouTube channel YAMA-CHANnel and is an online friend of Bree. During the ongoing chaos that is being a magical girl, Bree always tries to find time to chat with Ella. Ella doesn’t know that Bree is a magical girl, but she suspects something is going on. Not that Ella has time to dig into it, as she has her own craziness to deal with. Dana and Carlos are twins who attend the same college as the girls. Dana used to be Marianna’s roommate before Marianna left to move in with Bree. Dana adores Marianna, to the point that Bree — and Carlos — joke about Dana being in love with her. Both Dana and Marianna deny it every time it’s brought up, but Carlos always has a knowing smile on his face as he watches his twin sister around Marianna. Dana is usually seen at the bakery whenever Marianna is working. She’s unaware of the real reason why Marianna moved in with Bree, and Marianna intends to keep it that way. The owners of the gym where Lonnie trains are a husband and wife team of awesome. Rodney used to dominate the ring but has since retired. While Raye never fought professionally, she would train with Rodney, and he always credits her as the one who helped him get to the top. The owners are all about tough love, Raye more so than Rodney, because she understands that people will give Lonnie a hard time because she’s female. They’ll either underestimate her because she’s a woman, or assume her strength is due to her being “too manly.” Lonnie takes this advice to heart in her journey as a magical girl, even if the couple doesn’t know the truth about her — at least, that’s what she thinks. One of Lonnie’s sparring partners, Braydon can be more than a little annoying — especially since he seems to enjoy pushing every last button that Lonnie has. However, he knows when to back off and is more like a pesky little brother who Lonnie does care about… most times. He may or may not have a crush on the fiery kickboxer, Kendra (spoiler: he does), and Lonnie is more than happy to poke fun at him for it. Another one of Lonnie’s sparring partners, Kendra may be small, but she’s fast and can often give Lonnie a run for her money. Outside the ring, she’s one of the nicest girls that you could ever meet… except if you underestimate her. She does have a bit of a mean streak though, as she may be fully aware of Braydon’s crush — she just enjoys seeing him get flustered around her.